Australia may soon join Iceland, the only other country in the world to gaol top banking executives for misconduct. In delivering a scathing final report of the findings of the Royal Commission’s hearings into the finance industry, Commissioner Kenneth Hayne made 76 recommendations, referring 24 additional cases to industry regulators and two for consideration for criminal charges. Commissioner Hayne has been especially critical of the NAB for charging fees for no service and even to dead customers. He has urged the corporate watchdog to commence prosecutions over the misconduct. 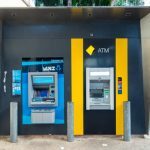 The Commonwealth Bank has also faced significant criticism, with the report suggesting that its trustee business may have also breached the Superannuation Industry (Supervision) Act 1993 (Cth) by knowingly charging dead clients for advice. 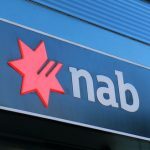 Mr Hayne has suggesting banking executives may have committed offences under the Corporations Act by failing to properly report breaches and by describing investment products as ‘commission free,’ then taking commissions and keeping them in the bank. Offences under section 184 of the Corporations Act 2001 (Cth), for example, now attract a maximum prison sentence of 10 years (up from 5 years previously) as well as increased fines. 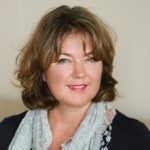 Among other things, the section makes it a criminal offence for a director or other officer of a corporation to recklessly or intentionally dishonestly fail to exercise their powers and discharge their duties in good faith in the best interests of the corporation or for a proper purpose. The harsher penalties were rushed through by the Federal Government last year, when deeply concerning customer testimony came before the Royal Commission. The Federal Government says it proposes to adopt the Royal Commission’s recommendations, and is expected to announce a time frame for implementation in coming months. It has also pledged to set up a compensation scheme to help victims of banking misconduct, which will be fully funded by the industry. 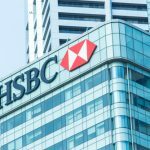 Victims of banking misconduct have expressed the view that on criminal proceedings will have a deterrence effect, as financial institutions have more than enough funds to cover fines. Amongst those pushing for prosecution is Grant Stewart, whose son was sold insurance despite having Down syndrome and not understanding or needing the product. Mr Stewart says his son was preyed upon by cold-call staff with promises of gifts and holidays. This was just one of the stories that intensified public outrage over sales tactics in the banking sector. 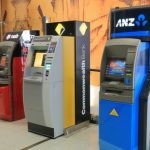 Many ordinary Australians have known for some time that the big banks put performance and profit ahead of customer needs. 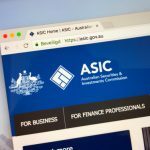 The Royal Commission gathered the evidence and found that the integrity of some financial professionals working in the industry is far from what it should be in terms of community expectations, because some of the practices have not only put people’s finances at stake, but also their livelihood. In 2017, Iceland made global headlines by sending 29 bankers to prison for market manipulations and breaches of fiduciary duties that ultimately contributed to the 2008 financial crisis in that country. Neither the UK nor the US have done the same, despite catastrophic financial consequences in both countries arising from dodgy lending practises. Although financial institutions in both countries were hit with substantial fines, individuals by and large avoided any form of criminal prosecution, and no one ended up behind bars. Despite opposing the Royal Commission for years, the Federal Government acted last year pursuant to Treasury’s ASIC Enforcement Review to increase penalties for criminal offences under the Corporations Act, doubling the maximum sentence for various misconduct offences for individuals to 10 years in prison, and a $945,000 fine or three times the benefits gained, whichever is greater. Reforms also stipulated that companies would face maximum fines of $210 million, with their annual turnover stripped by 10 per cent under new penalties. 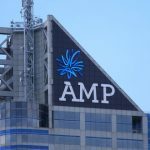 At the time of the announcement, AMP was in the firing line for deliberately misleading and obstructing investigations by the Australian Investment and Securities Commission (ASIC), and for charging fees for services that were never provided, then amending a report to cover up the misconduct. In November last year, the Government also pledged to allocate an additional $51.5 million to ensure the Federal Court and Commonwealth Prosecutors have sufficient resources to ensure financial institutions are brought to account for their misconduct.